CESKE BUDEJOVICE, Czech Republic (AP) — The Budejovicky Budvar brewery in the Czech Republic managed to survive a decades-long trademark battle over whether it could call its beer Budweiser. But now it faces another potential threat: Brexit. The United Kingdom is one of the brewer's top five markets, though it won't say exactly how much beer it sends there. Like many other businesses, it's concerned about what will happen if Britain leaves the European Union without an agreement governing trade. That exit is due to happen on March 29, though with political wrangling still very much underway, a delay looks likely. 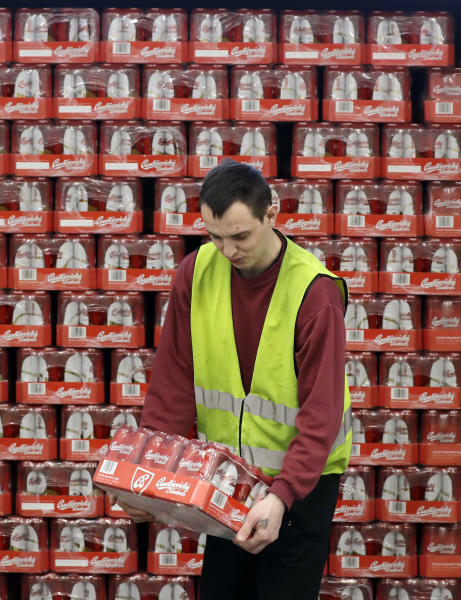 That's meant worrying uncertainty for businesses like Budvar that rely on being able to send their goods to Britain without inspection delays at borders. "It's about two weeks to Brexit and nobody knows anything," said Budvar director Petr Dvorak. "We're now waiting for what happens because it's going to be uncertain till the last moment." Budvar's business has been growing — it increased exports by 8.5 percent to reach 1.075 million hectoliters (28.4 million gallons) last year. The brewer reached its production capacity in recent years and has been expanding to be able to produce more. Still, a loss of UK business would be a blow, Dvorak said. "It might threaten our positions in bars and restaurants if we're not able to supply the market in the long term," he said. Budvar is also among the major Czech brewers that in recent years started to deliver beer in tanks in an effort to keep it fresher. 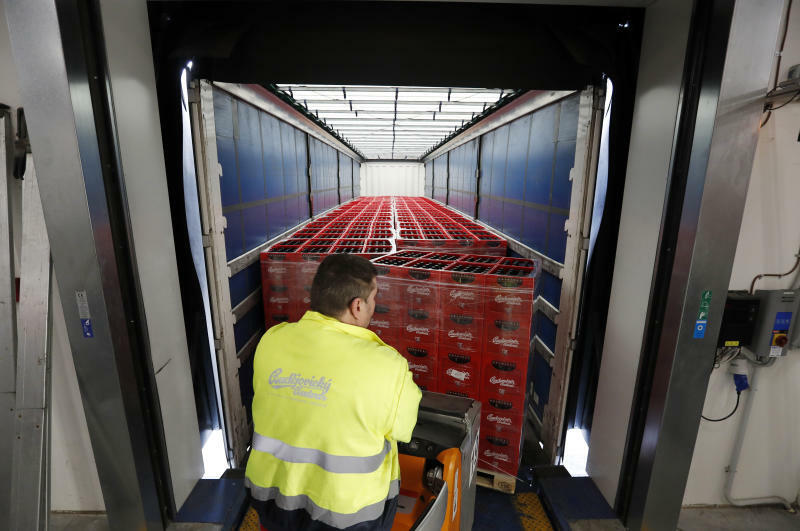 That unpasteurized beer expires after 21 days, meaning big problems if trucks get stuck at customs posts can't get it to the UK in a timely fashion. "The last thing we need for our beer is to get stuck somewhere on the border," Dvorak said. Among the few things Budvar can do is to stockpile as much beer as possible in Britain in hopes that a deal will be reached soon. But that's a short term solution that works only for beer in barrels, bottles and cans. Budejovicky Budvar and U.S. beer giant Anheuser-Busch have been in a trademark dispute over the Budweiser brand since 1906. Anheuser-Busch joined AB InBev in 2008. 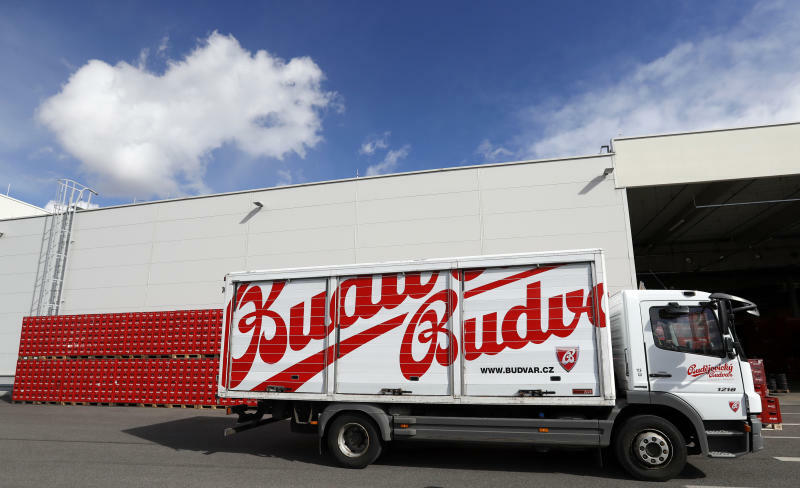 Budejovicky Budvar holds exclusive rights to sell Budweiser beer in most major European markets, including Germany. But in the UK, both Budvar and AB InBev can sell Budweiser after a court ruled that consumers can tell the difference between the two. AB InBev is significantly bigger. Brexit won't change anything about that arrangement. So might British customers start drinking American Budweiser if they can't get Budvar after Brexit? Dvorak thinks the two beers are different enough that they won't. "In the meantime, we can only hope that the British government has a plan because it is, of course, in the interest of the British government to allow free trade," he said. Study: European fully adaptive headlights better, should be legal in U.S.